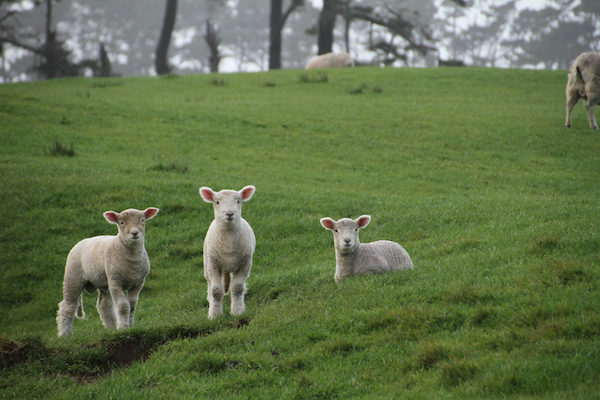 With Spring just around there’s a call-to-arms for parents who can help ensure the survival of the season’s lambs – by donating spare baby bottles to farmers in crisis. “Lambs are making there way into the world in the dozens,” a Muster Drought Appeal spokesperson explains, calling for the community to help save cute and vulnerable poddy lambs. Non-rural folk can help by joining the Muster Drought Appeal baby bottle and powdered milk drive. 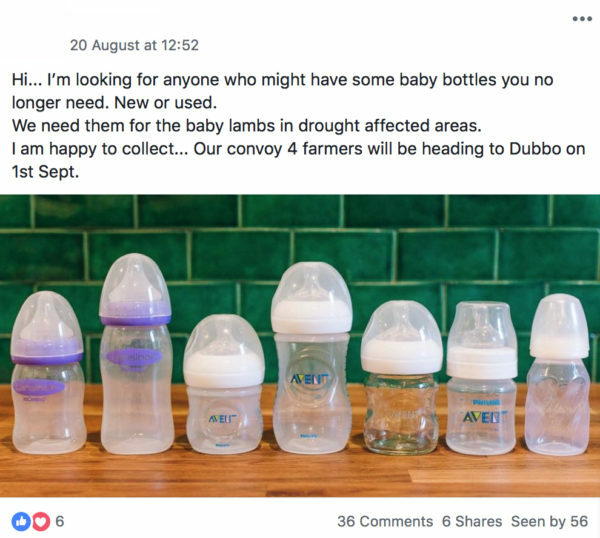 Two NSW mums have issued a similar call-out for new and used baby bottles to help feed hungry Spring lambs. Suzii Que and Sonjja Finigan are the women behind the Save our Farmers Convoy To Dubbo Facebook group, and they’re also keen to help battling farmers in any way they can. “We are just a couple of mums who are interested in helping our farmers, while they are in dire hardship,” the pair explain. While Suzii and Sonjja’s callout covers all kinds of much-needed items – razors, water, sanitary products, toothpaste, deodorant and non-perishable food items among them – parents of small children can be particularly helpful if they have any stray baby bottles on hand. Aldi full cream powdered milk is also needed to help feed the lambs. They apparently have particularly taken to the Aldi brand. With money tight and local stores’ supplies running short, Suzii and Sonjja are hoping that the broader community will rise to the challenge. They aim to pool a brilliant amount of donations by 30 August, all ready for their run to Dubbo on 1 September, joining forces with the Sutherland Shire Convoy 4 Farmers. Milk and bottles can be posted to 3/72 Lorraine Street, Peakhurst, 2210. The Muster Drought Appeal stresses there are lots of other ways to help. Sending a supportive message to farming families, donating Visa gift cards and donating cash are tip-top of the list. Queensland University of Technology Australian Centre for Philanthropy and Nonprofit Studies director, Wendy Scaife, told the ABC that it’s important to be vigilant, especially when donating money to any drought appeals.